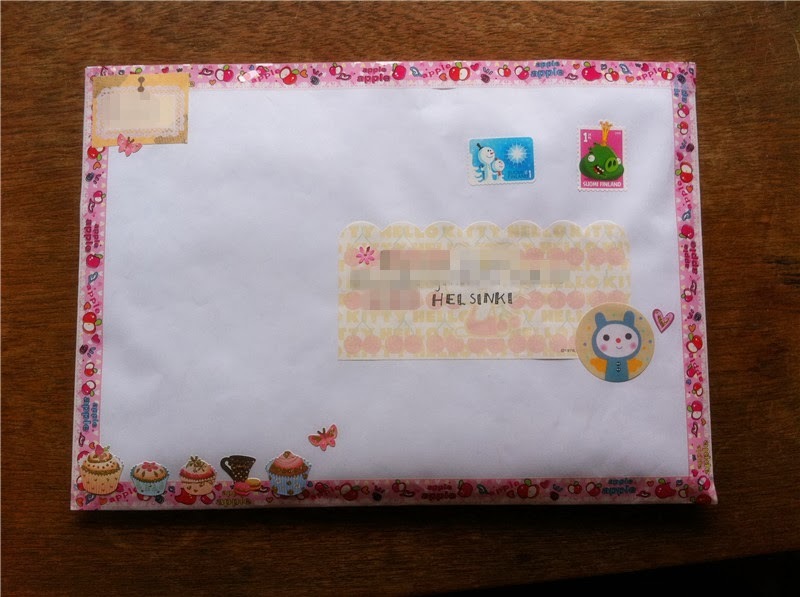 To my penpal in Taiwan. I sent her a facial mask, bookmark and sweets. 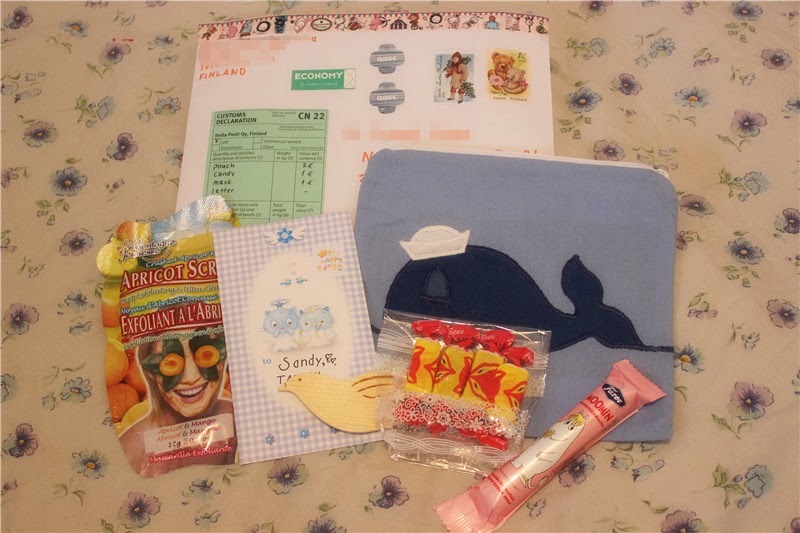 I packed all the things in the cute whale pouch. 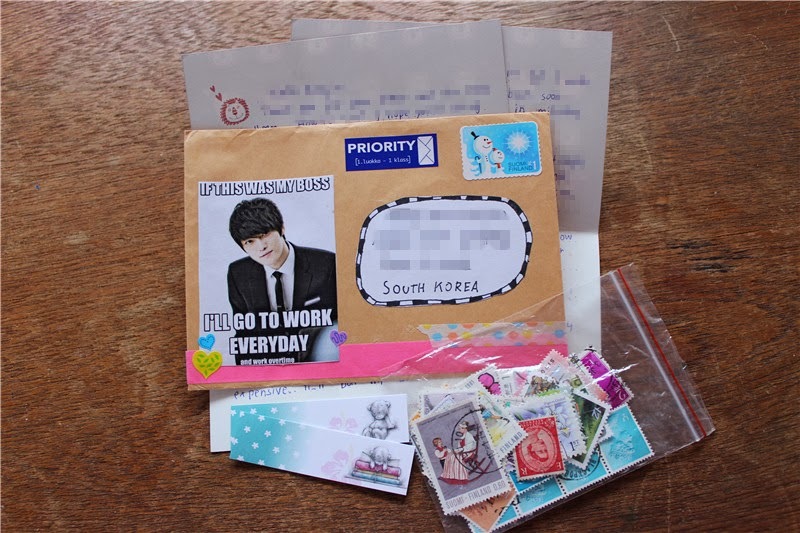 To a penpal in South Korea. Birthday presents to my friend in South Korea. 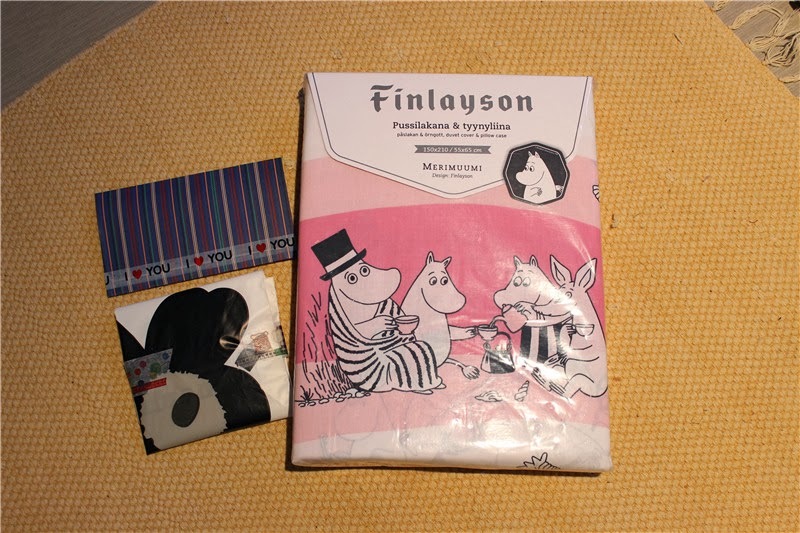 I sent her a Moomin duvet cover and pillow case set, a tiny Marimekko coin pouch, a necklace and a letter(the only long letter I've written in this month, 8 pages long). Honestly I've never ever spent this much money on any of my penpals!! 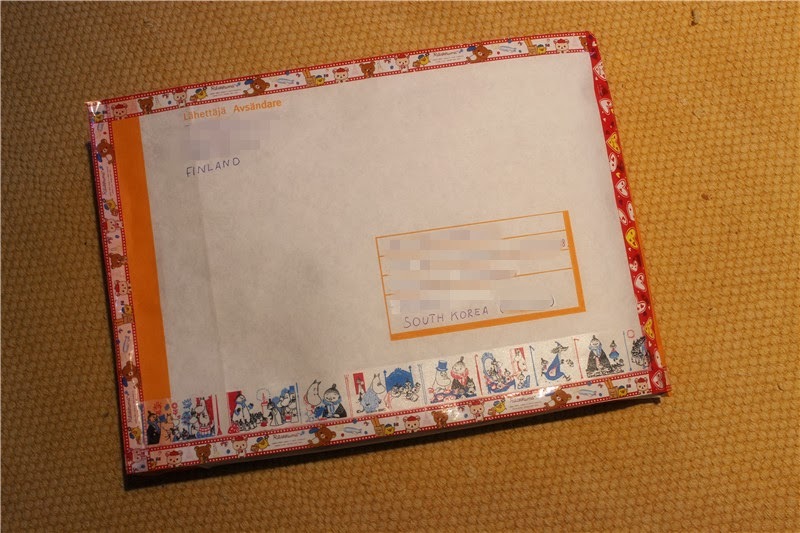 I was a little shocked when I realized I had wasted almost 80euros XD (Presents+postage) Well...whatever..because I know 100% she will love my presents and she always sends me such wonderful gifts:) I wouldn't spend this much money on just anyone, but only for my very best penpals. I sent the presents in this envelope. Say, would you recommend any place to find available/willing penpals? I'd really like to get to know someone new and I'm looking around. I'd ask you but I'm afraid you'd have too many penpals right now... If by any chance that is not the case, It would be great if you would at least consider it. Yes, you're right, I already have enough penpals as for and can't possibly take anymore, sorry! I don't have any specific site where I've found my penpals. 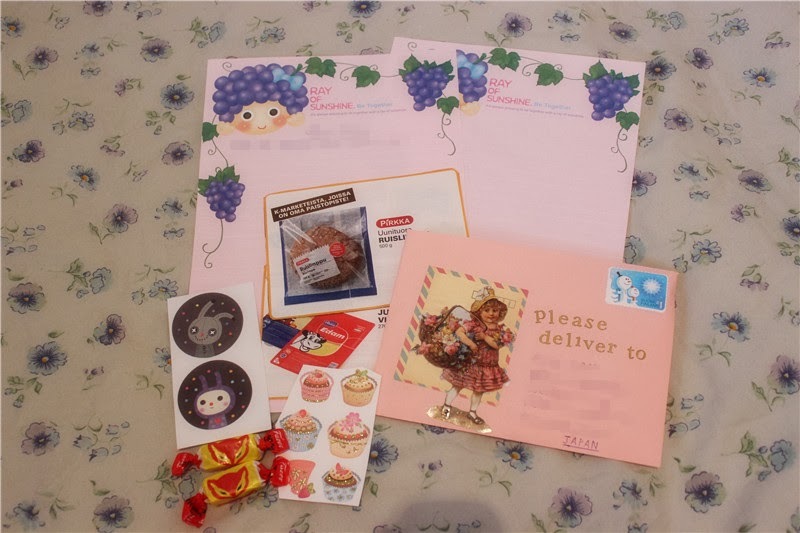 I haven't used any penpal web sites for a few years now, so I don't really remember the sites I used anymore >_< However, I recommend you to google "snail mail penpal", "snail mail penpal international" or something along the lines, and you should find a bunch of different sites! I also recommend you to take a look at "Interpals", it seems to be quite popular and I also had a profile there. 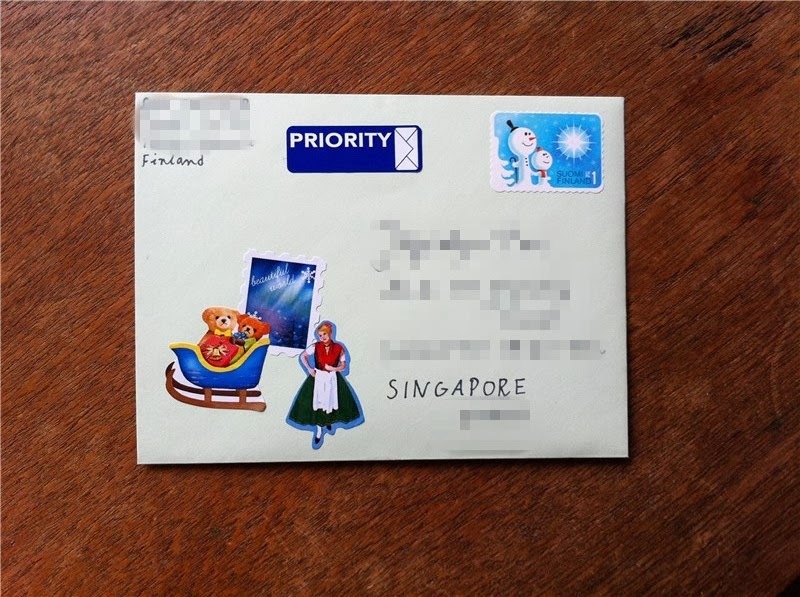 I've also found some penpals on Tumblr and Instagram. I wish you luck finding lovely penpals!